Paddle8 has selected “Yes/No” for their House Sale 22 auction. Please feel encouraged to sign up with facebook or regular email and “follow the artist”, “watch the work”, share the word with your contacts and/or “place a bid”. 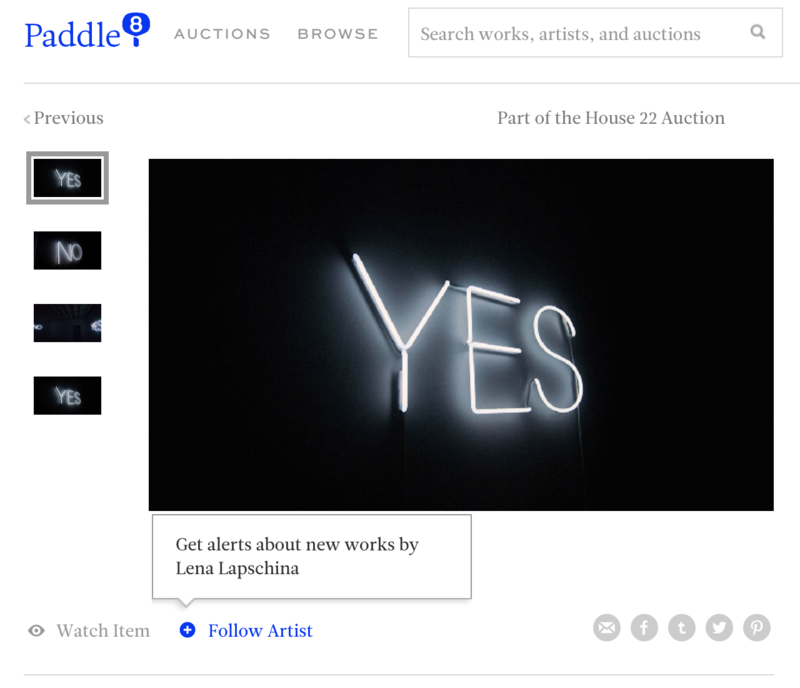 This entry was posted in Lena Lapschina­­­­ and tagged auction, lena lapschina, neon sign, paddle8, yes/no on March 17, 2015 by LL.